Simon van Schie was born in Rotterdam in 1903. He studied at the secondary school for mechanical engineering in Dordrecht, where he passed his exams in 1920. Five years later he went to the Dutch East Indies to work as a crane driver on the sugar plantation Gondang Winangoen, near Jogjakarta. Interesting to know that the premises of this plantation now accommodates a sugar museum. In 1929 Van Schie moved to the sugar factory Jogja Poendoeng, south of Jogjakarta. That same year he married Rosa Carp in Malang, East-Java, whose father also started his career as a crane driver, but climbed up to be Director of an ice factory. In 1931 Van Schie and his wife moved to Soerabaja, where he was appointed manager of the provincial water supply company in and around Soerabaja. Later on he was promoted to the central company in Modjokerto. After the mobilisation, December 1941, Van Schie became 2nd Lieutenant at the Military Aviation Authorities. He spent time in prisoner-of-war camps in Bandoeng, Tjimahi, Batavia en Changi, Singapore. After WWII Van Schie was reunited with his wife and children. Early in 1946 the family moved to the Netherlands, but in 1957 he emigrated to Tasmania in Australia. He divorced his first wife and married Jeanne Hendryette MacGillavry, descendant of a Scottish family but born in Soerabaja. Just like Simon, Jeanne MacGillavry’s father used to work in a sugar factory. 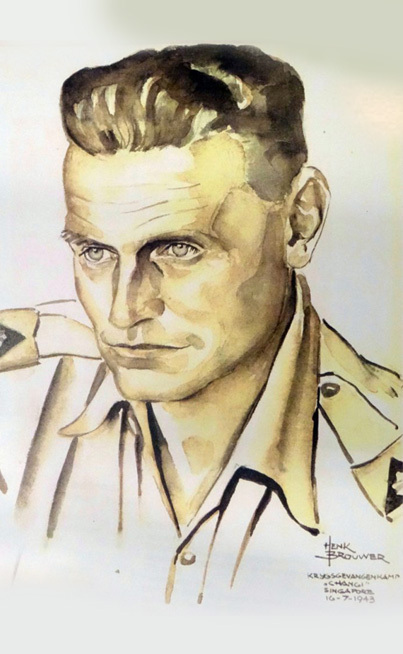 MacGillavry married a native Indonesian woman and, being a sergeant in the KNIL-army, was executed in 1942.